DELLA PERUTA VINCENZO, QUALITY AND TRADITION WHEN IT COMES TO TOMATOES! Three generations of the Della Peruta family have been involved in the business. The first and second generations were involved both in cultivating and trading in agricultural products, tomatoes in particular. 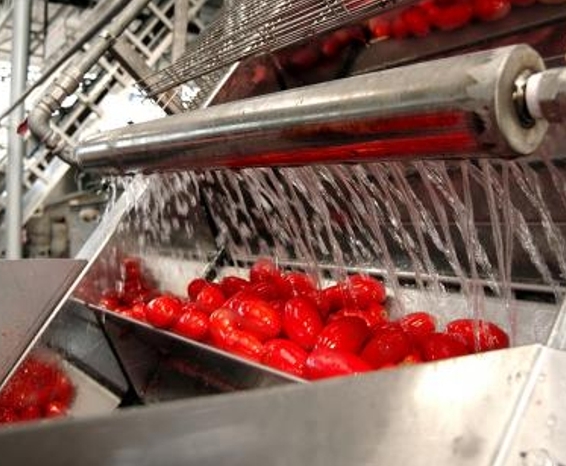 They supplied tomatoes to the canning industry, becoming experts not only in supply, but also in processing. This allowed them to develop both the foundations and the basics for the third generation to venture into processing in 1989 and to continue to grow the production side of the business. The Della Peruta family directly oversees ingredient processing as well as production. They own their own fields and are part of a cooperative that looks after them. The fields are assessed and selected according to specific criteria. Production is monitored from seed to harvest, checking all the various phases and treatments, using fertilisers or chemical products, to ensure that the product follows integrated pest management protocols. The company was originally called “SAN MARZANO SUD”, encompassing the San Marzano Sud – Bella Napoli and La Caterina brands. In 2001, it became “TOMATO NAPOLI SRL” and in 2013 changed its name to “DELLA PERUTA VINCENZO SRL”, retaining the same brands. The company is based in Scafati, one of the most industrialised parts of the province of Salerno. The factory has a surface area of approximately 15,000 m2, the majority of which is taken up with the production area and warehouses. It is equipped with a cutting-edge chemical laboratory with modern instruments. Our products are popular in Italy as well as abroad, in regions such as Asia, Latin America, Europe, North Africa and South Africa. Range of quality products straight from the fields in keeping with tradition. 25 years’ experience in the food canning industry. Careful checks carried out by skilled staff members in a company facility and chemical testing for every production batch. Excellent distribution network both in Italy and abroad.